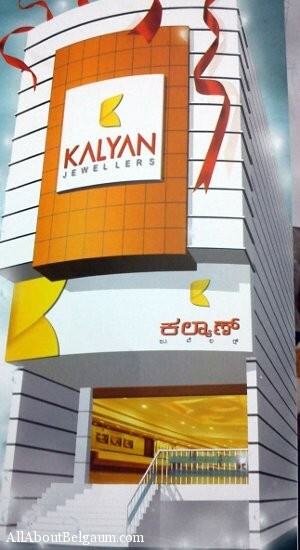 Kalyan Jewellers, a noted jewelery brand based from Kerala has opened its Belgaum store today in the presence of its brand ambassador Shivraj kumar. The store boasts of 10,000 sq.feet spread over 3 floors on Khade Bazar. The exact location is earliers Perfect Medicals. Great, so the illegal smuggled gold from Dubai to Kerala will show up in Belgaum now. I think they have opened it in Hubli too.